Types of Vegetarian Diets | What is a vegetarian? 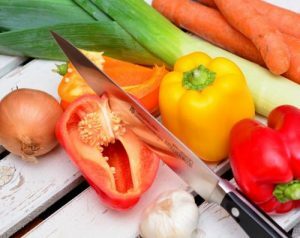 Vegetarian diet’s continue to increase in popularity over the years, Pure vegetarian diet involves abstaining from eating meat, fish and poultry. Some vegetarian’s consume eggs and dairy products, while the strictest kind, vegans, eat no animal products at all, including honey and gelatin. Vegetarianism focuses on plants for food, The simplest definition is a diet free of meat, fish, and poultry. A plant based diet is a healthy choice, it has been found to reduce the risk of heart disease, obesity, hypertension, type 2 diabetes and some types of cancer, leading to a longer healthy lifestyle. Plant based food tends to be lower in fat, especially saturated fats, and higher in fiber, than animal based foods. Gelatin is a flavorless food ingredient, derived from collagen taken from animal body parts. What can vegans use instead of honey? Apart from healthy choices, people become vegetarian for a range of reasons. Cultivating vegetarian food is more ecologically sustainable, and it reduces damage to our environment. Many people stop eating meat for ideological, ethical, or religious reasons. Vegetarians have a lower risk of many different types of cancer, compared with meat eaters.